ONE of our banes in Nigeria is the frequency of policy somersault and a culture of ogas-at-the-top willy-nilly ramming down wishy-washy ideas into the throat of hapless citizens. When it suits the establishment, a moribund paper-tiger law is resuscitated to validate their posturing. Coercion, intimidation, raw use of power, fire-brigade approach and buck-passing have become a way of life in Nigeria. People no longer take responsibility for their failings. Successive military administrations perfected and entrenched this culture and it does not seem to be swiftly waning under our hyped democracy. One Administration bans toll gates or police on road blocks, another comes and lifts the ban, and the ding-dong continues. During the military era, the military establishments randomly clamped down on vehicles with tinted glasses, black-coloured, and green-coloured cars. As usual Nigerians were told that the step would curtail insecurity. Sometime in 2011, the Federal Government barred even the Chief Justice (CJN), ministers and service chiefs from using vehicles with tinted glasses. Only the President, Vice-President, Senate President, Deputy Senate President, the Speaker of the House of Representatives, Deputy Speaker and Governors were allowed to use vehicles with tinted glasses. The irony in Nigeria is that the so-called law enforcement agents that are supposed to enforce these laws are the same people that contravene the law. In Nigeria, having a sticker on your car that reads something like, ‘’GALANT MOPOL’’ gives you free passage when other vehicles are flagged down or are being searched by the Police. No wonder Nigerians flaunt their affiliations with reckless abandon. Take a nose count of the cars plying Nigerian roads and you will see all sorts of stickers that affiliate the owner or occupant of the vehicle with one government (preferably military) establishment or the other. Pastors are not left out; you will see a ‘’CLERGY’’ sticker on their vehicles. This indirectly tells the Police not to expect a bribe. Not too long ago, we were told that the police hierarchy is bent on withdrawing all police officers guarding private individuals and organisations. Please, can the police high command confirm that this has been done? It is an open secret in Nigeria that (Mobile) Police protection in Nigeria is for the highest bidder. Some time ago, the Federal Road Safety Commission (FRSC) came up with this idea of changing the current Car Number Plates. As usual, it was hastily conceived and deadline for compliance was announced. It took the intervention of the Senate to save the situation. The Central Bank introduced polymer currency notes a few years ago, now they want to revert to paper notes. The SIM Card registration was also rammed into the throat of Nigerians as if it was an emergency. We were told SIM Card registration is the magic wand to the myriads of security challenges like kidnapping etc bedeviling Nigeria. This is a typical example of our fire brigade approach to issues. As usual, dissenting opinion and constructive criticisms were jettisoned. The exercise witnessed long queues as if money was been doled out to people. This white elephant project gulped about N6 billion. Several months after the SIM Card registration exercise, kidnappers are still having a field day and getting their ransom. Now the latest scapegoat for the unprecedented insecurity and terrorist incidents in Nigeria is the use of tinted glasses on vehicles. Hence the new kid on the bloc being bandied by the Police Authorities as the panacea to our security challenges is to increase the paper-tiger bureaucracy in obtaining a permit to drive vehicles with tinted glasses. Since there is still a provision for people to apply for and obtain a ‘Glass Tint Permit’, what the Police authorities have just succeeded in doing is to heighten paper work and invariably corruption because some unscrupulous police officers will harp on this to extort money from hapless car owners. This means that those (criminals inclusive) hell-bent on using tinted glasses can still go through the protocol, grease palms if need be and get the approval. So what is all these hullaballoo from the Police as if imposing this bottleneck will dissuade resolute criminally-minded would-be tinted glass users? The Police spokesman, Mr. Frank Mba, cites two outmoded and rubber-stamped laws to rationalise the position of the police. They are: ‘’Regulation 66(2) of the National Traffic Regulations (1997)’’ and the ‘’Motor Vehicles (Prohibition of Tinted Glasses) Act’’ as the enabling laws backing the IG’s action. The first law provides that “all glasses fitted to a vehicle shall be clear and transparent to enable persons outside the vehicle to see whoever is inside,” the second forbids vehicle glass fittings to be tinted or shaded or coloured even lightly. Tinting vehicle glasses is not a Nigerian practice. World over, various degrees of tint are permissible in cars. Scientific research buttresses the benefits of a tinted glass to include: protecting occupants against ultraviolet sun rays; saving the upholstery lifespan of cars by up to 60 per cent. Experts also contend that a tinted glass reduces the risk of injury in case of a crash involving breakage of glass because tinted glass is more cohesive and will not fall apart easily. 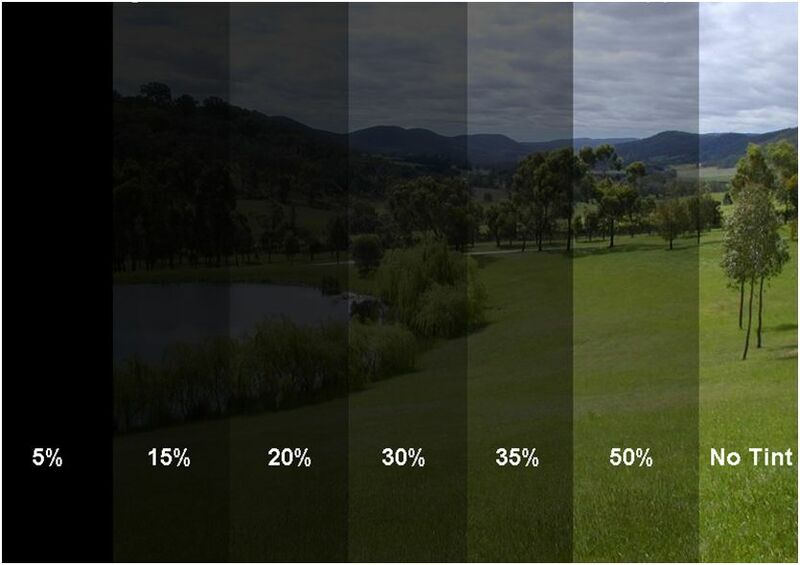 In the United States, the tint limits range between 24 per cent and 75 per cent VLT, a lower percentage denotes less light transmittance and darker tint. In the United Kingdom, the best practice provides that a front windscreen must allow at least 75 per cent of light through and the front side windows 70 per cent. In India, vehicles with tinted glass that allows 70 per cent visual light transmission for safety glass on front and rear windscreen and 40 per cent VLT for side glass are permitted. In the United States, the degree of tint is measured with an instrument. It is preposterous to ask a vehicle owner to remove a low shade factory-fitted tinted glass on his car. Nigeria does not manufacture cars. All our vehicle assembly plants are virtually dead due to government policies and corruption by its officials, and as a result of government functionaries not living by example. Senior government functionaries are exempted by the ban. Were their cars, all with high degree of tint, manufactured by car assembly plants in Nigeria? Are we to ask that cars coming to Nigeria be specially manufactured such that they differ from what are used world-wide? The government functionaries who are exempted from the ban are the same people charged with protecting Nigerians from insecurity that has overtaken the land. They protect themselves with absolutely opaque glasses but do not care to expose Nigerians to the same insecurity against which they protect themselves. One hopes that our human rights organisations and the Press will take this battle up seriously in the interest of equality of all citizens and justice before the law. We cannot have two sets of citizens in the country. What is unjust about it all, as The Guardian editorial on the subject pointed out, is that the Nigerian Customs collect special charges at the ports for every car with tinted glasses imported into Nigeria. In other words, one agency of government is happy charging Nigerians for cars with tinted glasses while another agency of government punishes them for bringing in the cars by banning them, and yet monies collected at the ports are not refunded. Can anything be more pernicious? May I humbly implore the Police image maker, Mr. Frank Mba, to give us the statistics of total crimes/terrorist incidents committed in Nigeria and the precise percentage of those that the culprits used vehicles with tinted glasses. I am wondering if the so-called ‘’Ombatse Cult’’ folks that killed Police officers recently in Nasarawa State were on a vehicles with tinted glasses? Is it the use of tinted glasses that left the Police College Ikeja in a state of disrepair? Does the fact that somebody somewhere murders another with a knife justify an outright ban on the use of knives even though doctors can also use ‘knives’ for surgery and to save lives? Do we also outrightly ban the use of Motor bikes (Okada) simply because some people use it to rob or commit crimes. The police should not make this issue look like they are bereft of ideas on how to combat insecurity. Try as I can, I still struggle to reconcile myself with, and rationalise, the position of the Nigeria Police hierarchy on this matter. Let’s reason from the ambit of common-sense. It is only a dilettantish criminal/terrorist that invites undue attention. Does a criminal or terrorist also need a tinted vehicle to drive or move about at night? A streetwise criminal or terrorist will rather keep a low profile; drive a car that will not attract undue ‘publicity’ or attention. While I sojourned outside the shores of Nigeria, I came across street-smart wheeler dealers, who could afford a Range Rover Vogue if they wished but they preferred to go on public transport. One of UK’s jailed biggest drug barons, Lincoln White, was described as an unassuming middle class guy who drove a Peugeot 205. Imagine a guy with a £200 million drug empire driving a car of say £5,000. Many of these so-called bad guys are well-informed, they know what Law Enforcement Agents are looking out for. They will rather use an old Nokia 3310 than use the latest iPhone or Galaxy S4 that is embedded with a Global Positioning (GPS) Tracking System even though they can afford the latter. So why do we stand an argument on its head? Rather than all these window dressing and shadow chasing, let us dwell on the nitty-gritty. In 2012, out of a total Federal budget of N4.7 trillion, N320 billion and N349 billion were respectively allocated to the Police and Defence. In 2013, out of the N4.9 trillion federal budgets, Police got N319.65 billion while Defence got N348.91 billion. The foregoing represents a major chunk of the 2012 and 2013 budgets. What have they done with all these monies? Perhaps the Police authorities should Google for and glean a few suggestions and ideas from these my articles, ‘’Recommendations for a Sweeping Police Reform in Nigeria’’ and ‘’Social Media and State-Of-The-Art Technology: Viable Tools to Combat Insecurity and Terrorism’’. Advances in Information and Communication Technology (ICT) have revolutionised the concept of policing. In most advanced countries of the world, rather than brandishing archaic Ak47 rifles, it is common to see Police officers armed with Palmtops, Tablet PC’s, and latest telecommunication gadgets on their bits with which they relay information to their respective offices in real time. I hereby make a case for the provision of inter alia, Automatic Number Plate Recognition Systems for the Nigeria Police, the Federal Road Safety Commission and other sister agencies. With a comprehensive database of registered drivers and convicted ex-felons, law enforcement agents can still solve the riddle when a vehicle is involved in a crime whether the glass is tinted or not. Running a scan check on an individual involved with a minor traffic incident can unwittingly lead to him or her been arrested for other serious offences that the culprit may have committed before. With advances in military technology-Kevlar, airborne lasers, antimatter weapons, case-less ammunition, electromagnetic weapons, and particle beam weapons, I shudder each time I see our Police officers struggling to move swiftly with their ‘’heavyweight’’ bullet proof vests. In a country like Nigeria with a Population of about 160 million people and a Police force of about 1.2 million officers and men, there is no doubt that Nigeria is grossly under policed. This falls short of the United Nations recommendation of Police to People ratio of 1:450. It follows that the Nigeria Police is over-stretched and overwhelmed. These are some of the serious issues that must be addressed. Nigerians have been unanimous in calling for this police position to be jettisoned. A Bill seeking to unban use of factory tinted glass has passed a crucial second reading in Senate. The sponsor of the bill, Senator Ita Enang (Akwa Ibom North East), opines that initiating the bill is imperative in view of the incessant harassment of motorists who use tinted glasses, saying if the security agencies do not want Nigerians to use vehicles with tinted glasses, the best they can do is to completely prohibit the entry of such vehicles into the country. According to Enang, ‘’It falls short of reason to ask persons who buy tinted glasses to go and remove them when it is common knowledge that the factory which produced such vehicles do not exist in Nigeria’’. He also faulted the move by the police to compel people to obtain permit before they can use their vehicles with tinted glasses. While we profoundly appreciate the sacrifices of the officers and men of Nigeria’s security agencies and the onerous task and inherent risk of law enforcement in Nigeria, we implore them to be less pugnacious, more proactive and invest more resources in intelligence gathering so as to nip insecurity and terrorism in the bud. I am a staunch advocate and disciple of superior reason. So what is your take, Is the prohibition of tinted vehicle glasses the magic wand that will curb the unprecedented insecurity bedeviling Nigeria? Are there not much more dire security challenges in Nigeria than hounding innocent people whose only crime was to have bought vehicles with tinted glasses? The ban on tinted vehicle glasses is to say the least, diversionary and reactionary. • Okereke is a security analyst and consultant in Abuja.